100% cotton soft terry cloth cover, full cotton lining, and fire-retardant filling material providing an ultra soft comfort, making it a top choice for babies. Classic design and high quality with attention to every detail. Super soft texture and supreme quality makes the product moms’ favorite. Babies can finally enjoy comfortable somber, relieving moms from waking up to crying babies due to uncomfortable sleep. Fine craftsmanship and fashionable designs. Imported PP material provides for a quality cover fabric. Fashionable design with soft and flexible texture, high permeability, and special processing in anti-deformation. 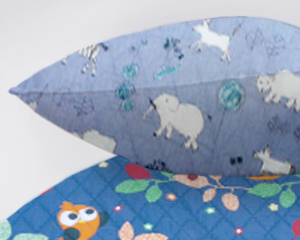 One side of the duvet cover fabric is made with extra soft, ultra permeable fabric. 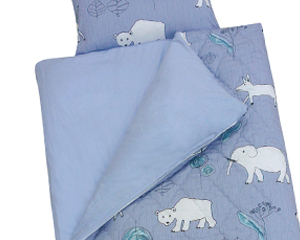 The other side of the duvet cover is lined with 100% cotton for more comfort and durability. This product is made with Invista® fibers, with high the highest quality and comfort. A must have for the fall and winter seasons—superbly comfortable texture and warmth. The bed-protector not only protects the Simmons mattress, but also serves as an extra cushion. 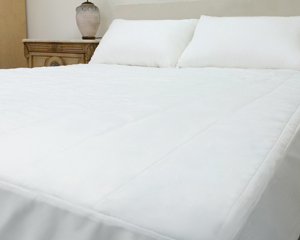 The product can be securely fastened to the four corners of the mattress. It can also be used as an individual mat.